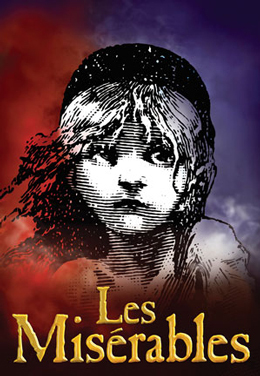 Les Miserables, perhaps France's third best-loved export after champagne and Brigitte Bardot (or fourth, after champagne, Bardot, and the two paired together), opens in LA at the Ahmanson starting June 14th and runs through July 31st in a new 25th Anniversary touring production that the London press has been calling "a five-star hit" (London Times), "overwhelmingly moving" (Daily Telegraph), and "...the story in a stimulating and refreshing new way" (Musical Stages). Now featuring the tagline "Dream the Dream", perhaps a nod to the sudden revival of the song "I Dreamed A Dream" in the wake of Susan Boyle's now-famous rendition on Britain's Got Talent, it also features new staging, scenery, and a production design supposedly inspired by the paintings of the novel's author, Victor Hugo. The classic songs by Claude-Michel Schonberg and Alain Boublil (with English lyrics by Herbert Kretzmer) remain, of course, as does the story itself. A tale of personal redemption amidst political revolution, Les Miserables tells of the reformed convict Jean Valjean, who breaks his parole in order to save the young Cosette and is pursued through 19th-century revolutionary France by his dogmatic jailer, Inspector Javert. Hugo's book was developed as a musical by prolific British producer Cameron Mackintosh (Cats, The Phantom of the Opera, Miss Saigon) in the early 1980s with Boublil and Schonberg, who had originally conceived a musical version of Les Mis as a French concept album. Rewritten in English and adapted for the stage, it opened in London in 1985 and Broadway in 1987. It garnered 8 Tony Awards, including Best Musical, and ran there until 2003, holding the record as the third longest-running show in Broadway history (behind Mr. Mackintosh's Phantom of the Opera and Cats). It is still playing in the West End, and remains the longest-running production ever there. Indeed, though the student revolutionaries in Les Miserables (SPOILER ALERT!) do not succeed, the play itself has certainly conquered the world like a latter-day Napoleon, playing to 60 million people in 42 countries (if you wanted to know, that's just about 0.87% of the total world population, but still...), in 21 different languages. Alas, Russia is not among them. Too bad, M. Bonaparte.